In these tough economic times it can be frustrating or impossible to shell out a lot of money for MS Office productivity suite. 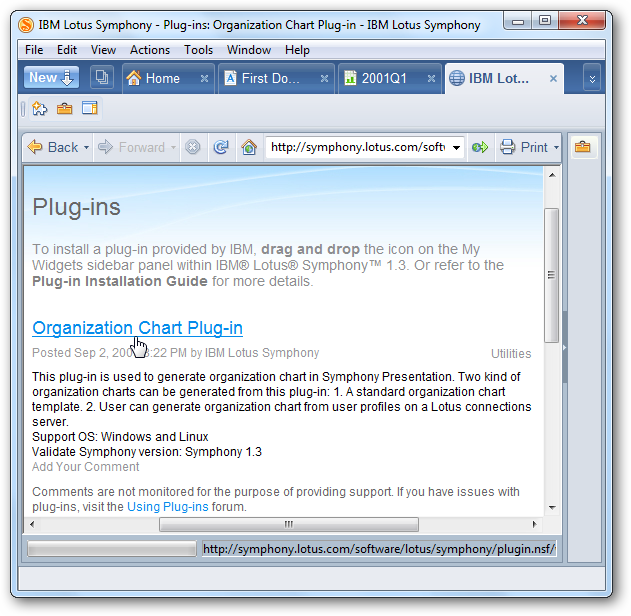 Today we take a look IBM Lotus Symphony, which is a full suite of office apps built on Open Office technology and produces quality documents and presentations. 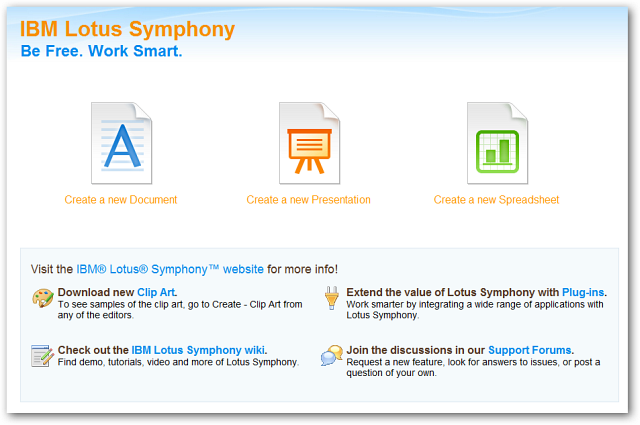 IBM Lotus Symphony is an office productivity suite that includes apps for creating documents, presentations, and spreadsheets. 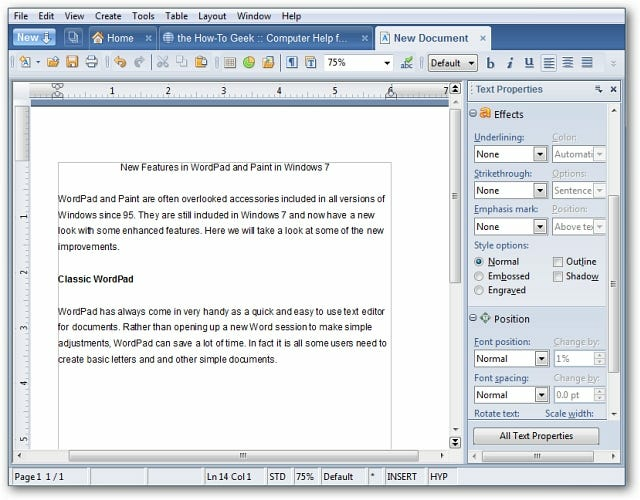 It is completely free of charge and is built on OpenOffice.org technology and supports Open Document Format standards. You can create the same great quality documents as you would with MS Office apps, use MS Office formatted documents, and it’s completely free. This is their word processing app that would replace MS Word. It has all of the tools you would expect from a quality word processing application and make make professional looking documents. 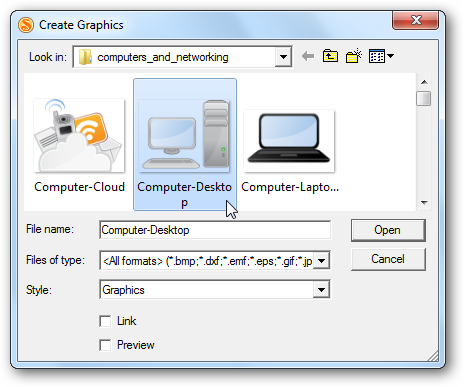 Notice there is a single interface with tabbed sections for each program and / or document. There are plenty of templates for various types of documents to choose from and download. It includes a decent library full of clip art you can use in your document creation, and they offer more you can download from the site. 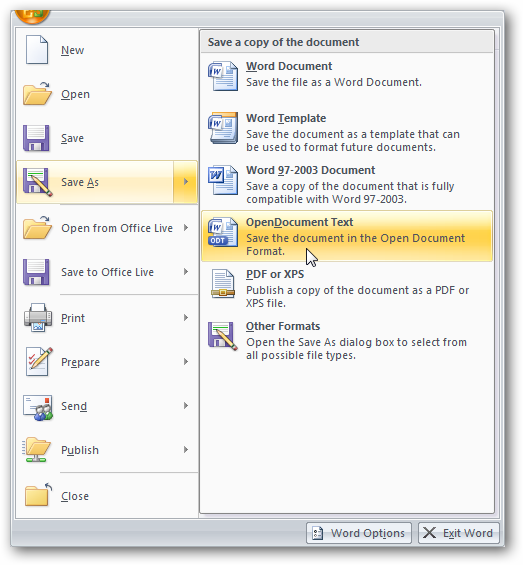 Save documents in in Open or MS formats. 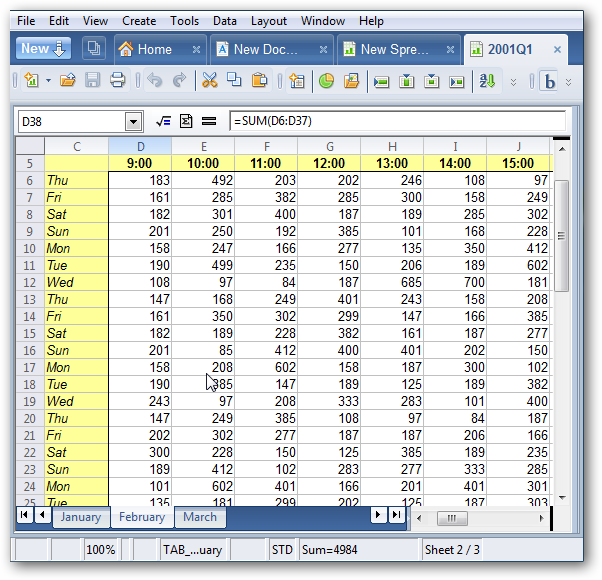 This is a replacement for MS Excel and lets you create new spreadsheets or use built in templates. 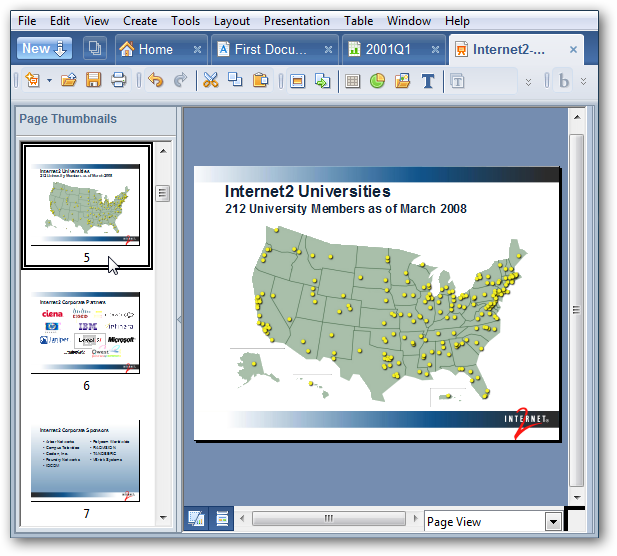 Presentation is their version of MS PowerPoint where you can create shows from scratch or preconfigured presentations. Also included is a basic but handy web browser that will open up in a new tab. This comes in handy when downloading additional items from their site and for doing quick research while working on documents. If you need a basic office suite then Symphony is a good choice as it can handle most tasks. It doesn’t include an email client or database app like MS Access, but if you need that you can use OpenOffice.org Base which is a free database program. 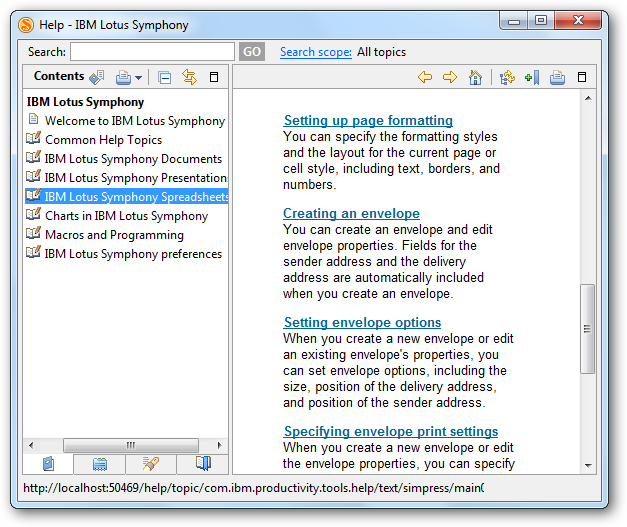 Let’s take a look at a few of the other features available, including using MS documents with the open format of Symphony. 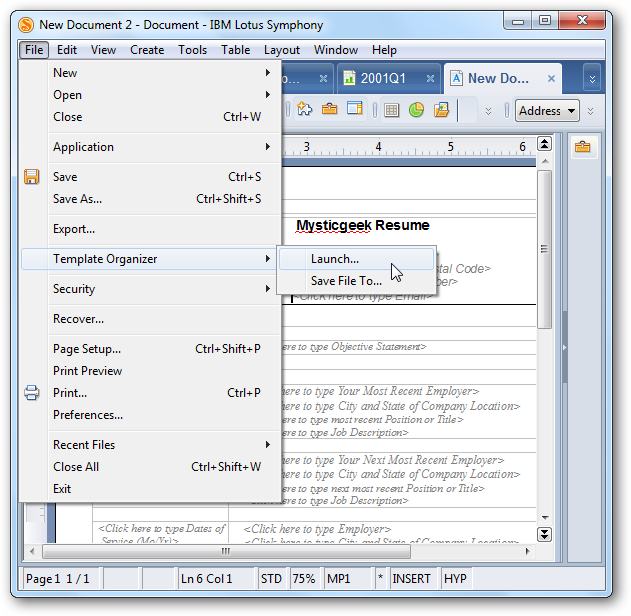 The entire suite opens up all documents using tabbed sections to make navigation easier. 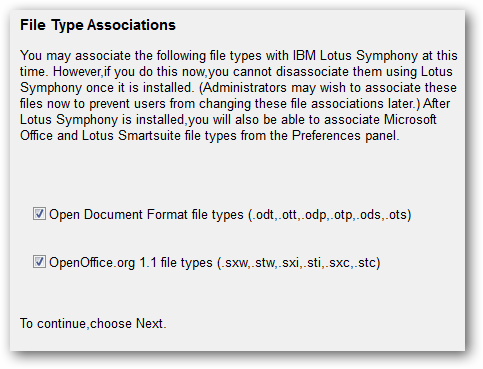 You can associate Symphony with open document formats. 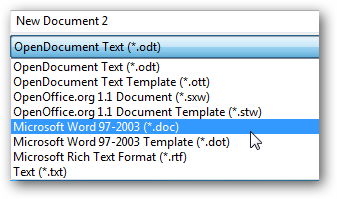 It will open up MS formatted documents…(.doc, .docx, .xls, .pptx) but you may lose some quality. I had little problem with documents I tested out and opened between the programs. 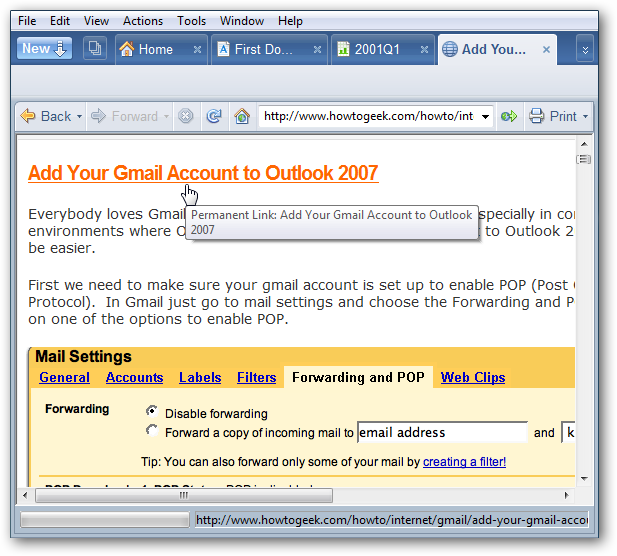 If you are working with another person who has Microsoft Office 2007 remember they can save their documents in Open Document format as well. 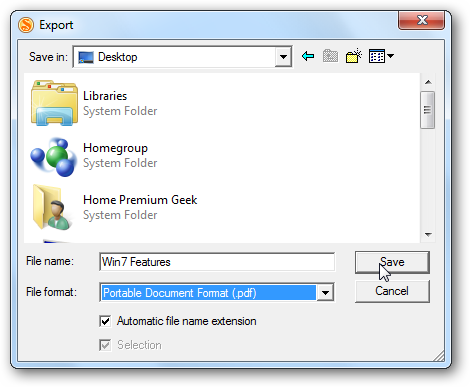 You can easily save documents, spreadsheets, and presentations to PDF format. There are a lot of extra plug-ins you can download for additional functionality for all three apps. If you get stuck there is a help section that will guide you through basic tasks. 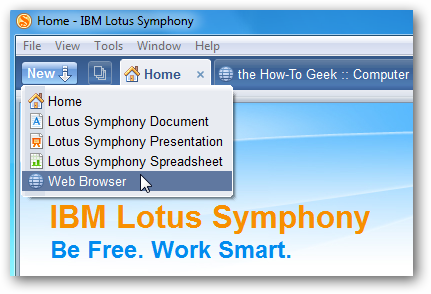 If you are a small business, student, or an individual with not a whole lot of extra money to spare, Lotus Symphony is a great way to get the professional office document results you need.